As with most pop stars, there is a certain amount of invention, reinvention and infamy that assures they do not desert the public consciousness for too long. It would start to get restless, and the star in question would drop off the twisted thermometer that measures fame by the volume of gossip magazine-appearances and the number of publicised drug-related incidents. The public hunger for scandal unwittingly and ironically fuels the misery of the stars so envied for their notoriety, and George Michael was certainly notorious. A life riddled with drug abuse, depression and identity crisis was sure to satiate a desire for entertainment that could not see past the end of its perversely oversized nose. Fame did not release the musician from its sticky grip until the day he passed away on Christmas day 2016. Thus, in reading about his career the focus seems to be mainly on the troubles of a man that arguably created some of the most iconic tracks of the eighties, and indeed of pop history. Tracks that make a millennial’s parents’ eyes glaze over with layers of fake tan and hairspray, simultaneously blinded by sparkling white teeth, glittering gold earrings. From contagious melodies and soul-popping beats to smooth lyrical ballads and introspective rhythms, early Wham creations are like sugary fireworks compared to George Michaels’s later solo career, including albums such as Older (1996) and songs with a slower, jazz feel such as Kissing a Fool. The later stuff feels more measured and less exuberant; he works with artists that are icons of his, collaborations with integrity and talent at their heart: Whitney Houston, Elton John, Aretha Franklin, Mary J Blige, and Paul McCartney to name a few. The live recording of Don’t Let The Sun Go Down On Me with Elton John is fantastic, and the duet with Aretha Franklin, I Knew You Were Waiting (For Me) is almost legendary. The thing about George Michael is his captivating, instantly recognisable voice, one that has sold over 100 million records and that has played out of my dad’s office computer for as long as I can remember. The ‘Ladies and Gentlemen’ album, released in 1998, is a greatest hits compilation and provided the soundtrack to many an evening’s homework; sat watching my dad scratch in capitals on thick lined paper, and frequently interrupted by the shrill, invasive ring of the telephone. A voice that I have grown up listening to, one I didn’t know the history behind. It's strange that I have learned more about Michael dead rather than living. The start of his tumultuous and prolific pop career has been bracketed under the term ‘New Pop’, coined by critic Paul Morley. Heralding the artist-led reclamation of the entertainment and music charts, bands like Wham! produced hit after hit of cheesy, effervescent pop accompanied by equally light-hearted music videos (the video for Club Tropicana is emblematic of high eighties pop). However, it has been all too easy to remember the dancefloor hits and overlook the more serious work of Wham! : performing at a miners’ benefit concert in 1984, giving tickets to NHS nurses, writing songs about living on the dole – although they look like privileged white celebrities, there is a conscience and sensitivity behind songs such as Wham! Rap and Freedom that are so obscured by all the screaming girls and big hair. 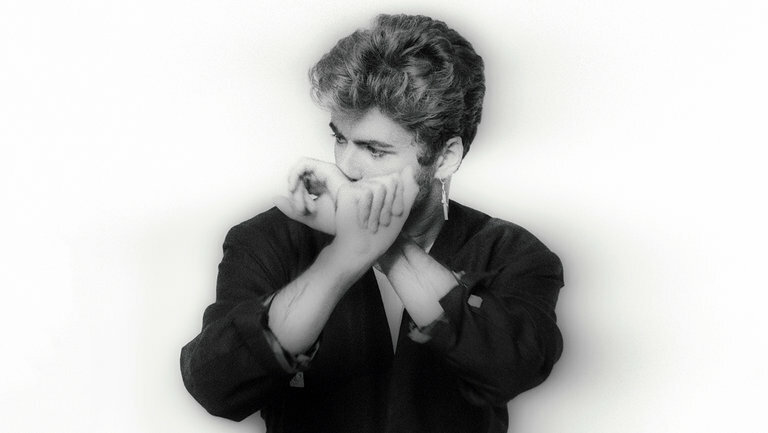 This became more pronounced in George Michael’s later solo work: the ‘Faith’ album holds tracks like Jesus to a Child and Father Figure, and songs such as Careless Whisper are much more subdued and considered than the tight, sparkling white Wham! days. Transformation - or reinvention - aside, George Michael’s contribution to British music is one that does not deserve to be superseded by his colourful private life. Journalist Simon Hattenstone interviewed the singer twice, and both times came away with the feeling that Michael’s private life was more public than his music, which he kept hidden behind the defence of his latest paparazzied ‘incident’, whatever that may have been. As gripping as this may seem, it is still important to remember Michael as a great songwriter and producer of some of the most iconic and memorable tracks of the eighties. His melodic, resonant sound will forever be a source of emotion, of pure talent, great collaborations, and representative of a difficult life for one so talented, as well as an inspiration to the LGBT community. Existing as publicly as he did in a society that struggled to accept homosexuality, that shies away from discussion of depression, and that hungers after details of the personal life of their brightest musical talents, George Michael will be remembered by me not as the man who crashed his car under a leaden cloud of sleeping pills, but as the musician who challenged social convention with emotive power, vision and creativity. A legacy to treasure.